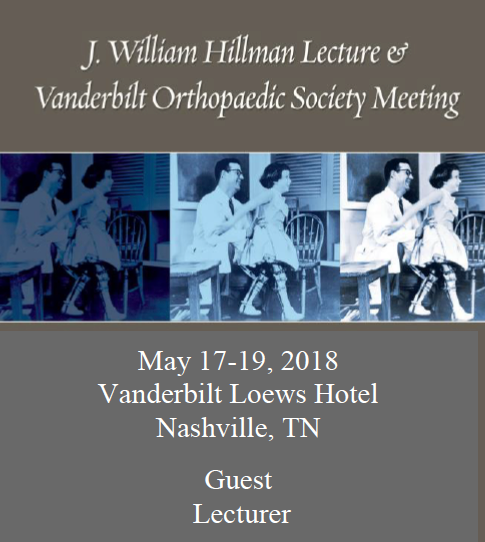 Dr. Raynor returned to Nashville, TN to attend and speak at the annual Vanderbilt Orthopaedic Society (VOS) meeting. Former residents and fellows gathered to discuss complex issues related to sports-related injuries this year. Dr. Raynor lectured on hip arthroscopy and the diagnosis and treatment of hip labral tears and femoroacetabular impingement (FAI).